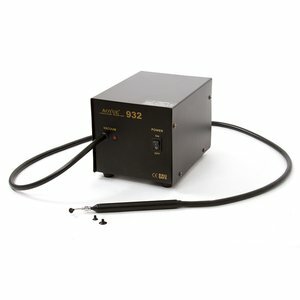 AOYUE 932 is a vacuum pickup station that picks up chip easily after desoldering. Simply attach one of the 3 included suction heads that matches your application and turn the unit on. Main unit with pickup tool — 1 pc. suction heads — 3 pcs.